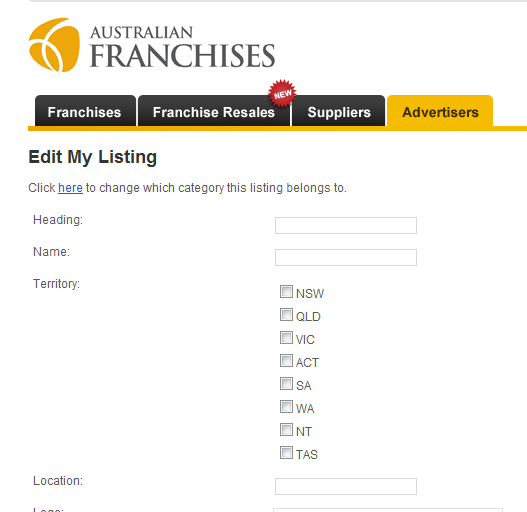 How do I advertise on Australian Franchises? How can I edit my existing listing? How can I see my Stats? How can I check messages? How can I get mentioned in the Newsletter? 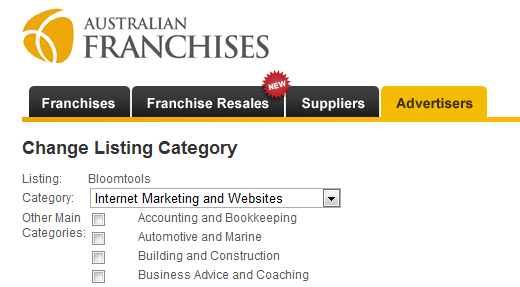 What are the terms for advertising on Australian Franchises? A confirmation email will be sent to you. Once received you may log in to your account. 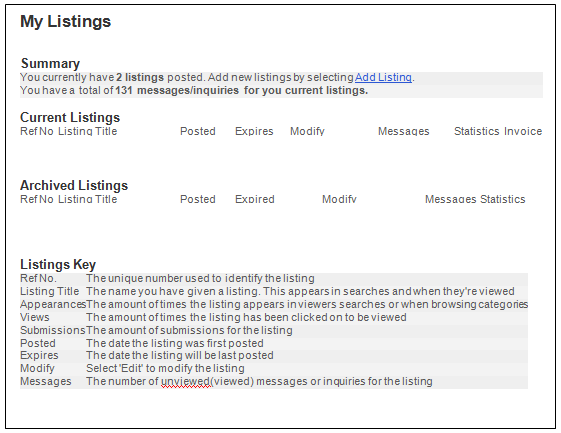 2) Choose Add Listing from either the top menu or the My Listings page. 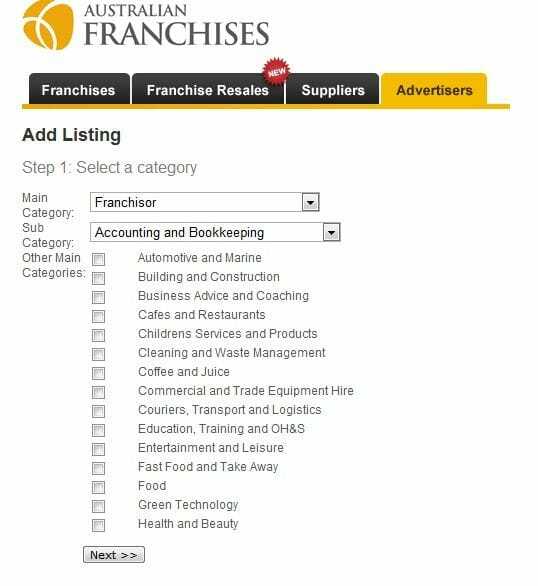 3) Choose which Directory you wish the listing to appear under. 4) Choose a category for your listing. 7) Fill in form with listing details. 9) Once submitted, your listing will be checked prior to going live. 10) Finished. You may now log out, or create another listing. 2) Go to My Listings Page & Click Edit for the listing you wish to edit. 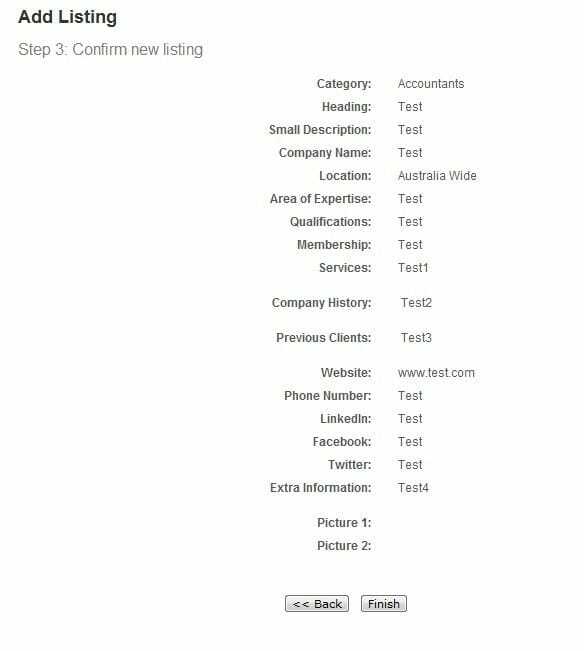 3) To edit the listing content, just modify the details in the form. For Franchise Listings: Try to write the content like it is a marketing flyer that you would expect someone to pick up and read. Visitors want to know about how investing in your franchise opportunity can provide them with the lifestyle they daydream about. It is important to know why your current franchisees chose you over other opportunities. Don't just state what the business does, provide details on how this business helps others and provides a quality lifestyle and career for the potential franchisee. Feel free to include testimonials from clients and franchisees. You need to include a Call to action it can be as simple as stating "use the enquiry form below to register for your free information pack"
For Suppliers Listings: Try to write the content like it is a marketing flyer that you would expect someone to pick up and read. Visitors want to know about your business and how it can make their life easier. Not just a list of services you provide, but details and examples on how those services can help them. Feel free to include testimonials from past/current clients. 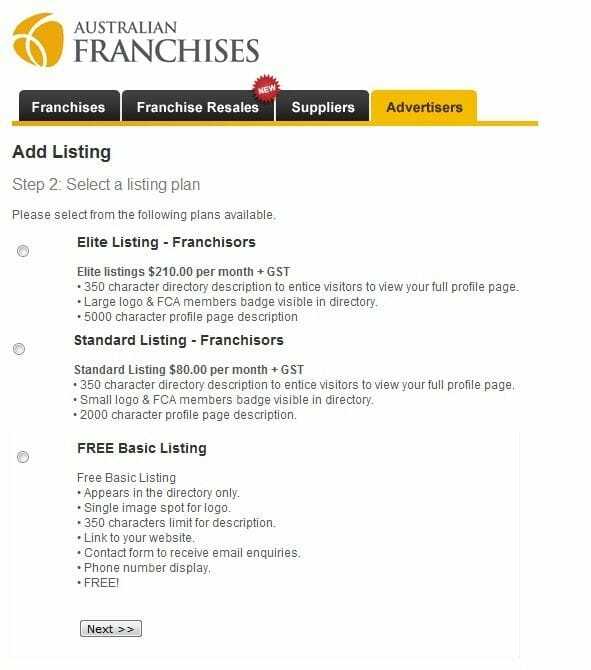 You need to include a Call to action it can be as simple as stating "use the enquiry form below to register for your free initial consultation" or "call us and mention Australian Franchises to receive 10% off" etc. For all Listings: We generally find that including a couple of photos of people such as your team or shop fronts, products etc or even stock images of happy business people can enhance a listing quite a bit. Finally if you send in regular articles (say once a month) then we can publish these and optimise them for SEO and link them to your listing. This increases your listings Google ranking and we also broadcast it on Facebook, Twitter, Linkedin and RSS feeds. This can have a big impact on the number of leads generated for you. 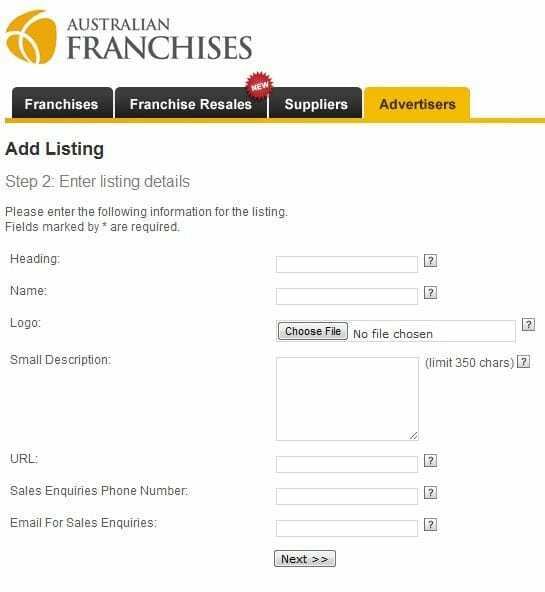 Franchise News publication is provided for free and preference will always be given to paid advertisers over free basic listings. We reserve the right to reject, modify and edit any articles sent in for publication on our site. We have 2 articles sections on our site; News & Expert. We recommend you utilise both. For News send in articles about your industry; perhaps regarding new legislation or technology and how it will affect business. If you are considered an expert in a particular field then feel free to send in articles about that field that may assist others. We will publish these in the Experts section the same way we publish News with the Social Media broadcasts to boost lead generation. 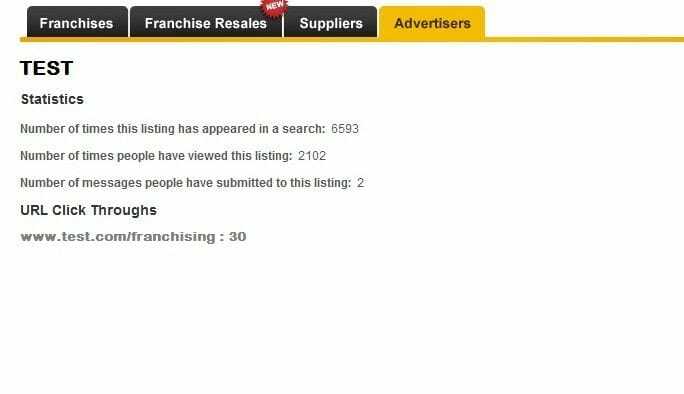 To check your statistics, Log into your account, click My Listings and then click the 'View' Link beside the listing. 1) Login to your account, go to My Listings. 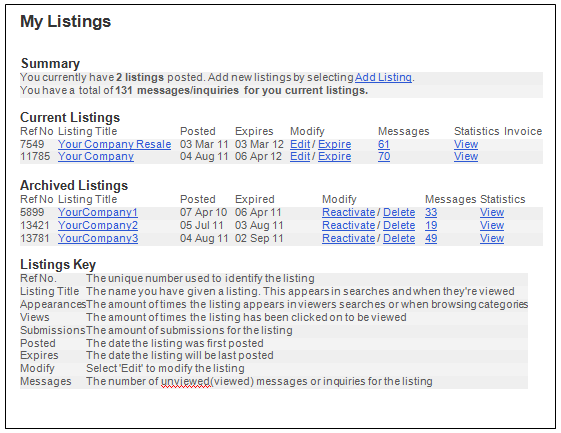 Each listing with messages received will have a highlighted number in the Messages column. Click the number to view the messages. 2) The Messages Area Page displays copies of all messages received (except those deleted) that have been sent through the system for this listing. These messages are automatically forwarded to your email address when received by the system. You can view and delete these messages. There is no export function available, but you can copy paste. Please note that deleting is final, we cannot recover deleted messages so please be careful. 3) Clicking View on the previous screen opens the message up in full. Navigation is done via the browser back botton. Remember clicking delete is final. At this stage payments for all advertising services are processed manually. 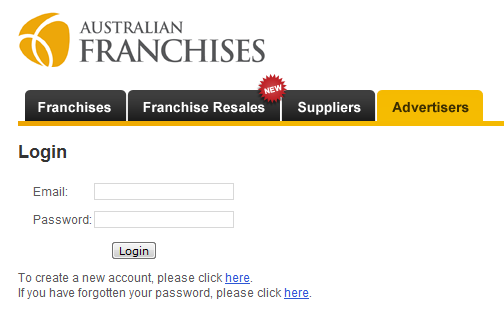 Please contact the Australian Franchises Support Team to update your payment details. 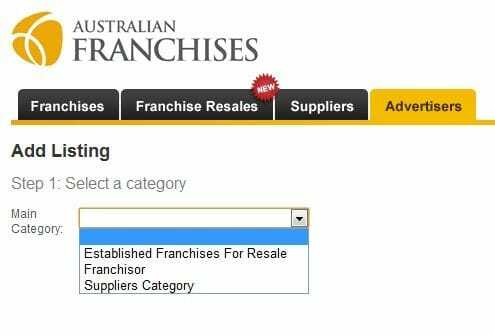 Australian Franchises is a committed to providing a comprehensive resource for the general public to research franchising opportunities available in Australia. We welcome all advertising enquiries and will happily review all advertising applications. 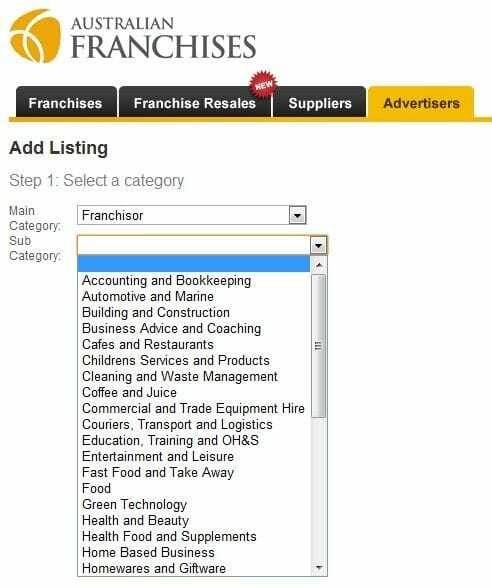 However if a company wishing to advertise does not operate as a recognised franchise in Australia they must meet certain criteria in order to advertise their business, business opportunities, products or services on the Australian Franchises Directory and it's eNewsletter. 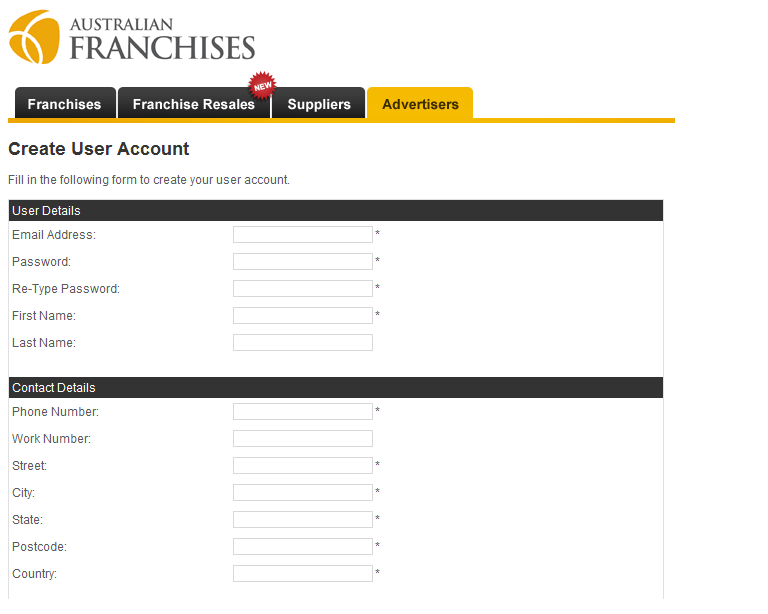 Australian Franchises reserves the right to reject any advertising application and to cancel any existing advertising found to breach our advertising terms. Didn't find the answer to your question? Contact us directly.